During the current affairs debate on the Copenhagen Declaration on the functioning of the European Court of Human Rights (ECtHR) which was put on the PACE agenda on request by the UEL Group, UEL Member Hişyar ÖZSOY (HDP, Turkey) read a letter written by Selahattin DEMİRTAŞ, HDP co-chair and Member of Parliament who has been in prison since November 2016. 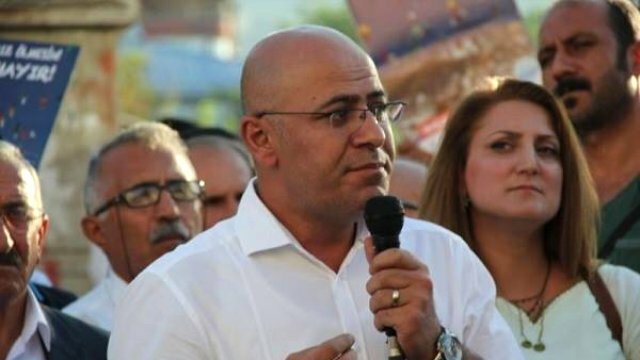 The UEL Group wants to draw the attention to the position of the ECtHR on the imprisoned former chair of HDP, Mr. Selahattin DEMİRTAŞ who two years ago filed applications to the European Court of Human Rights concerning the unjust pre-trial detention and the lifting of his parliamentary immunity. He strongly believes “that the Council of Europe and its institutions have an important mission to encourage and support the struggle for justice in Turkey, and to do their utmost to ensure the respect for human rights in this country”.